Beauty News & Gossip 14/06/16: Jaclyn Hill SCANDAL, Urban Decay, Colourpop, Lime Crime & More! So first up this week – I have to address the Becca X Jaclyn Hill Eyeshadow Palette SCANDAL! After the very exciting and hyped up release of Becca and Jaclyn’s range of collaboration products, including a face palette and an eyeshadow palette, all hell has broken loose. 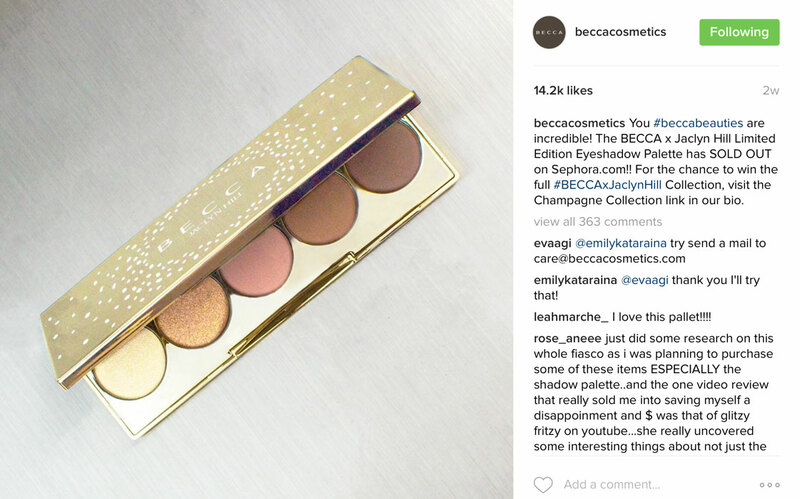 For those who haven’t heard, basically an eagle eyed beauty fanatic who’s particularly fond of Becca eyeshadows noticed that the shadows in the Jaclyn Eyeshadow palette just weren’t up to Becca’s usual high standards. Customers then started to come forward and complain about the poor quality of the eyeshadows. Becca then admitted that there was in fact issues with the palette and stopped all sales, and Sephora have also been refunding customers that had already purchased it. As if this wasn’t bad enough, Jaclyn then proceeded to throw Becca under the bus, so to speak, by saying on Snapchat (so I’ve heard) that she didn’t want to make the eyeshadow palette in the first place, and she didn’t really have much to do with the creation process – completely contradicting a previous YT video where she announced the collaboration products and told viewers that she was hands on from start to finish, and that this was an even collaboration between herself and Becca. Jaclyn has now deleted this video, and I have to say it all seems pretty dodgy to me. And one final note on the matter… What about all the Youtubers and ‘Influencers’ (I really hate that word) that were sent these products to try before the public launch – there wasn’t one negative review of Jaclyn’s eyeshadow palette! 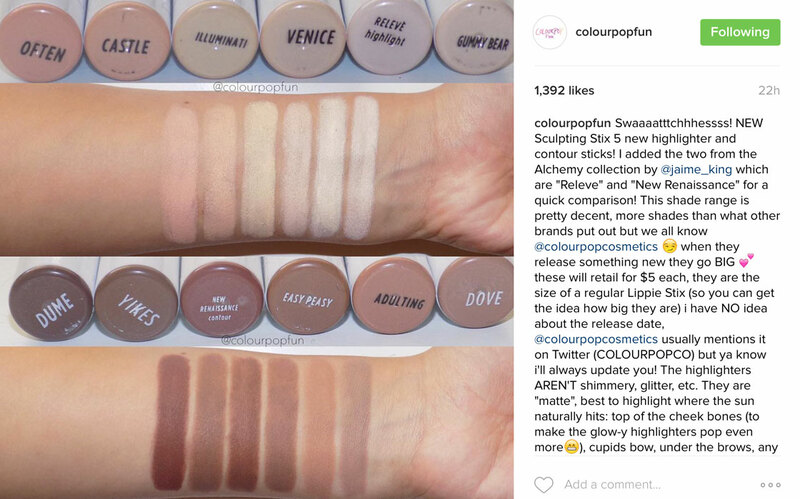 They all said how amazing, how pigmented, how buttery soft and smooth the shadows were – so were they possibly telling fibs to keep the brand happy?? There’s some food for thought anyway – please do let me know what you think about this! 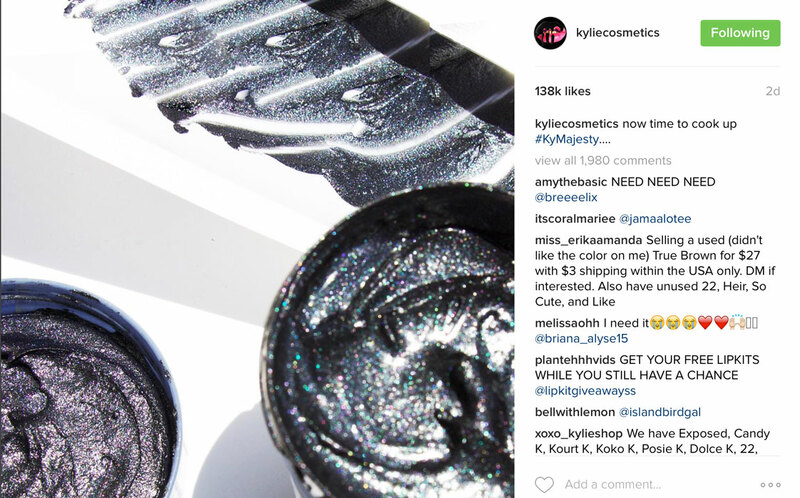 Though I’m personally not really interested in Kylie Jenner’s makeup range, I know it’s incredibly popular, so fans will be excited to hear about the new shade Majesty which is a metallic black with blue undertones. It will be available to purchase on 16/06/16. 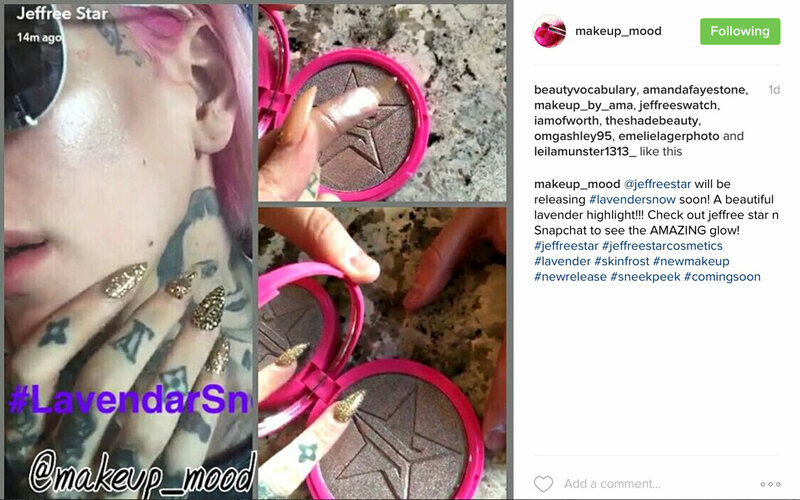 And yes it’s Jeffree Star again! Even though he’s just launched a bunch of products, his Lip Ammunition Lipsticks – in satin and glitter finishes and a brand new Highlighter shade, Lavender Snow will also be available very soon. 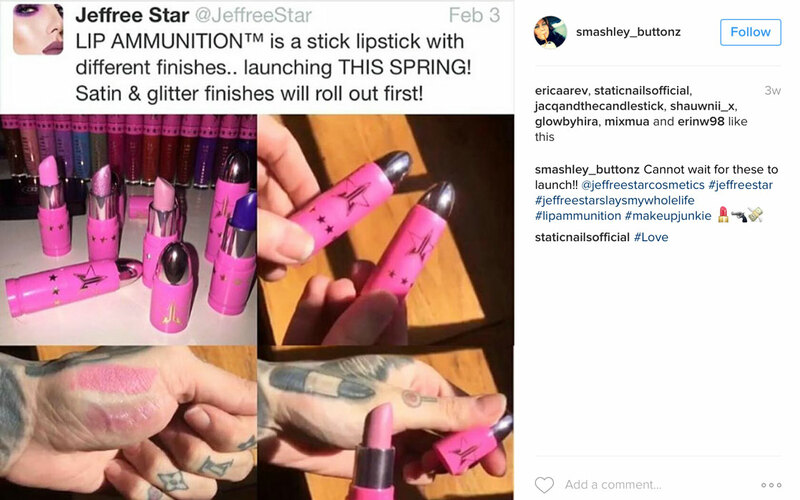 And while I’m on the subject of Jeffree Star, one of my favourite Youtubers who will always call a spade a spade, Stephanie Nicole has recently posted a product and brand review on Jeffree – it’s a long video but it’s definitely worth a watch. Favourite US budget beauty brand Colourpop also has some pretty awesome new products coming out. So far they’ve been all about the colour cosmetics, but they’re now launching a range of highlighter and contour sticks. At only $5.00 each they’re a complete bargain! 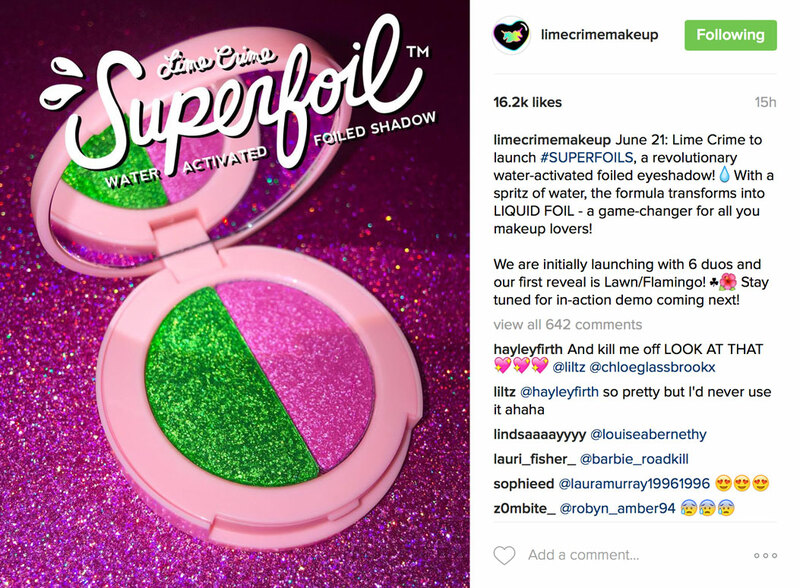 Controversial beauty brand Lime Crime have also just launched their Superfoil Water Activated Metallic Eyeshadow Duos, which look pretty amazing! These duos contain a brand new eyeshadow formulation that just requires a spritz of water to activate it. The result is a super high shine foil finish. This product is available in six different duos, which are £12.71 each from Lime Crime. And lastly, Urban Decay is launching yet another new palette! Forget about the Naked palettes, this time it’s all about the metallics, the Moondust Palette will include eight new Moondust eyeshadows – I really can’t wait for this one! I don’t know when it will be available as yet, but I’ll let you guys know as soon as I find out.